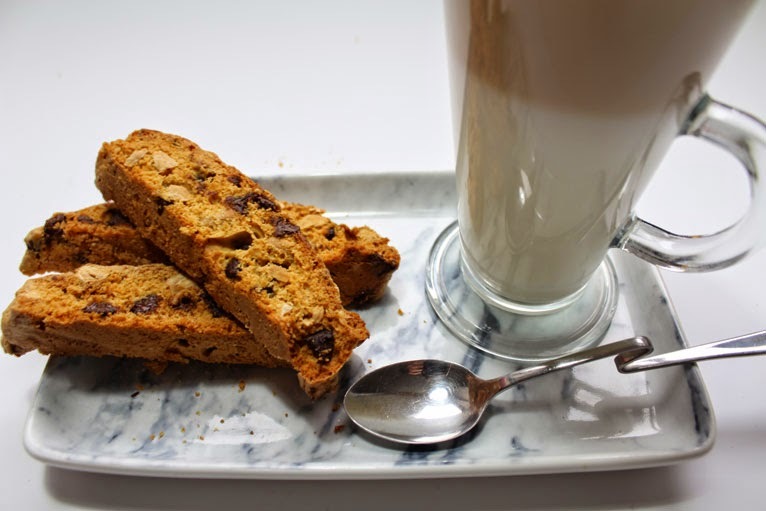 I loved making the biscotti pictured in my DIY tea bags post and I have since made several batches so I thought I would share with you my recipe for a crisp and crunchy chocolate and almond biscotti. 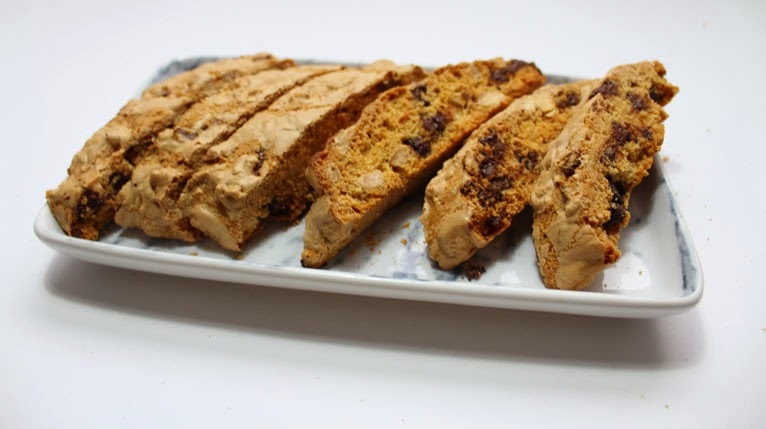 Biscotti means twice baked and that is exactly what these are. Originally made during war time as they can be stored for long periods so perfect for making in advance. To start pre-heat the oven to 180c. I like to toast my almonds first but you can absolutely skip this step as it is not essential. 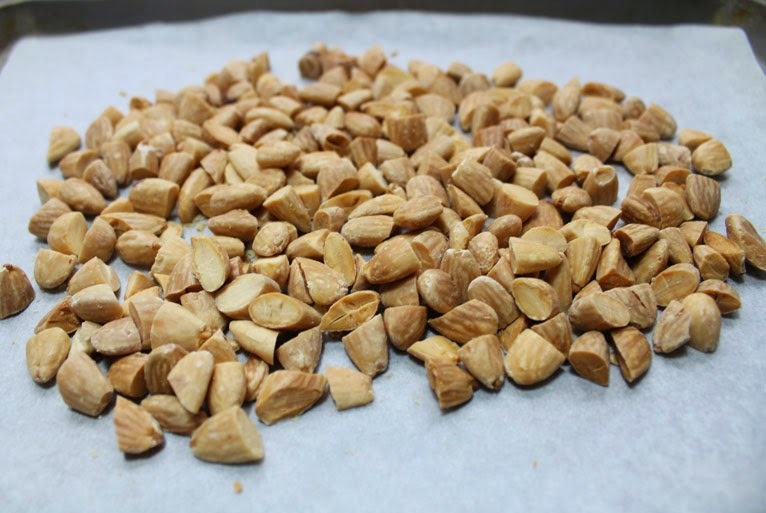 To toast spread the blanched almonds over a lined baking sheet. 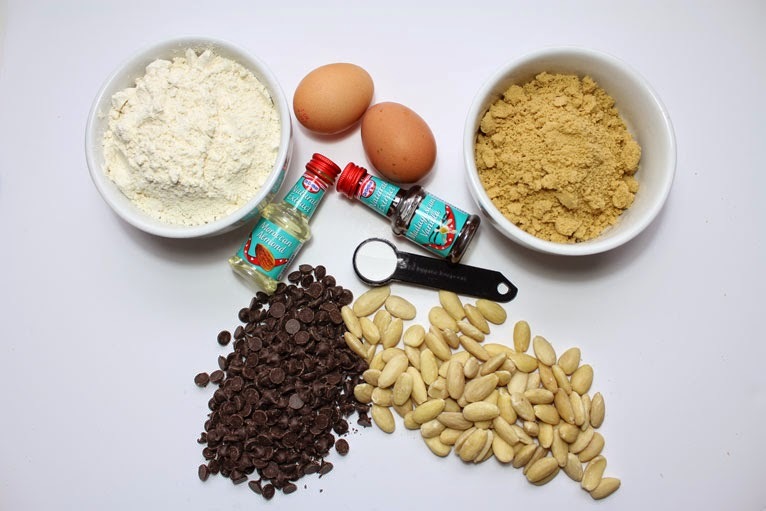 Toast them in the oven for 8-10 mins; this will help to bring out a really nutty flavour to the biscotti. 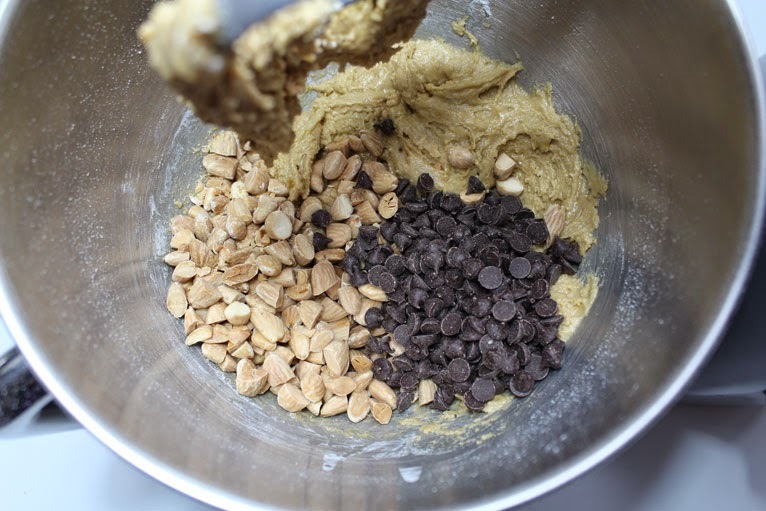 Then roughly chop and set them aside ready to add to your biscotti dough. Now reduce the oven temperature to 150c. 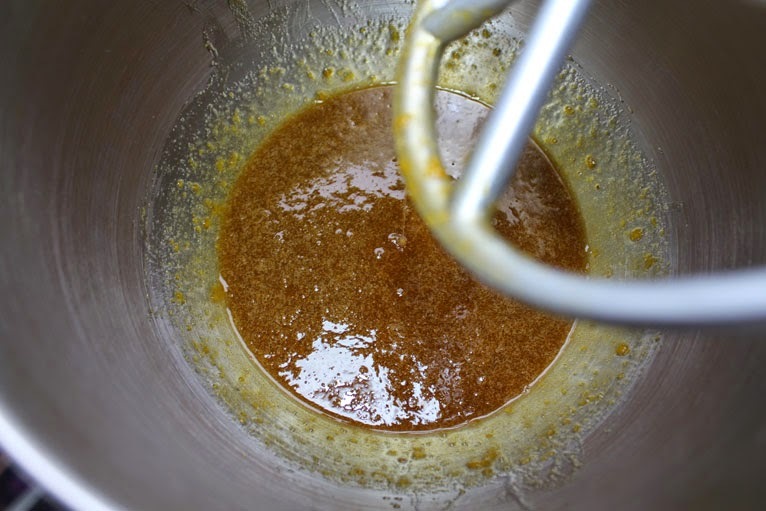 Now beat together the brown sugar and eggs until combined and then add the vanilla and almond extract. 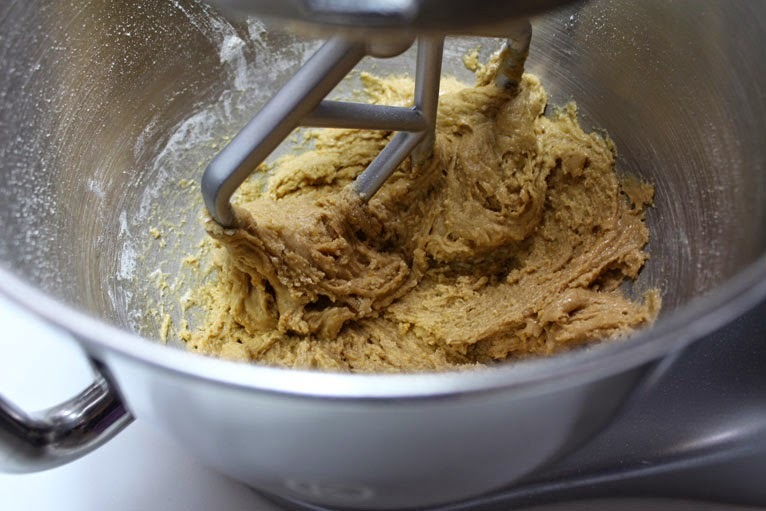 Once incorporated add the flour and baking powder and mix until it makes a quite sticky dough. 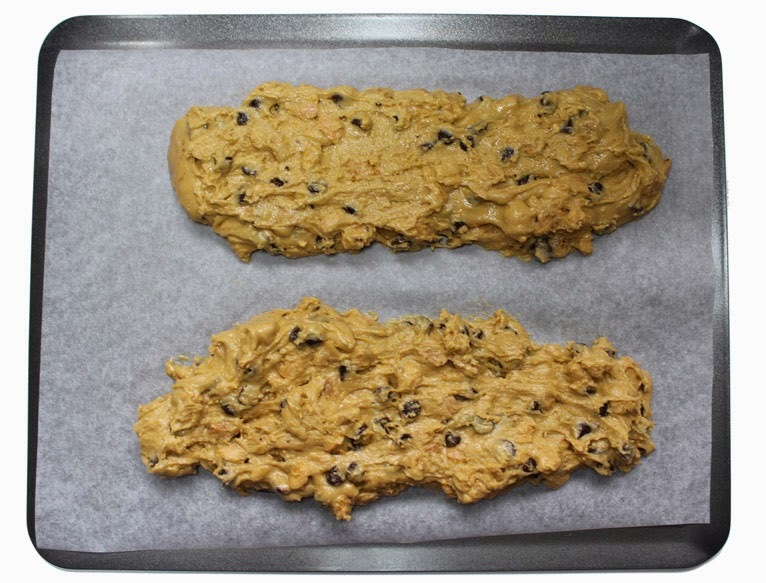 Finally stir in the chocolate chips and toasted almonds so they are evenly distributed and transfer to a lined baking sheet, creating two logs. 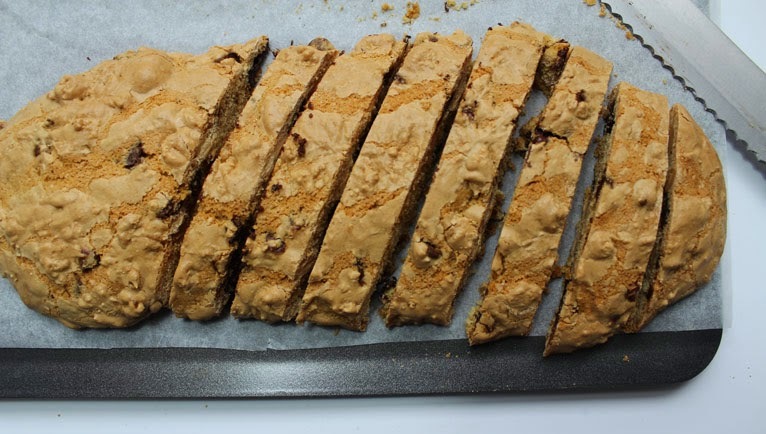 Many recipes will get you to roll out the dough in flour to create your logs but I think you can just put it straight onto the tray and shape it with a spatula. 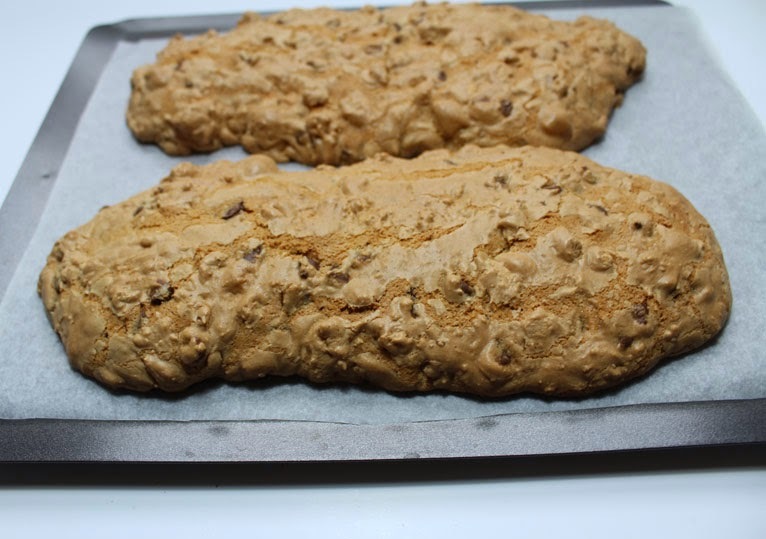 These don't have to be perfect, odd shaped biscotti adds to the homemade feel, well I think so. Bake in the oven 40 minutes or until brown and firm. Then leave to cool for 10 mins. 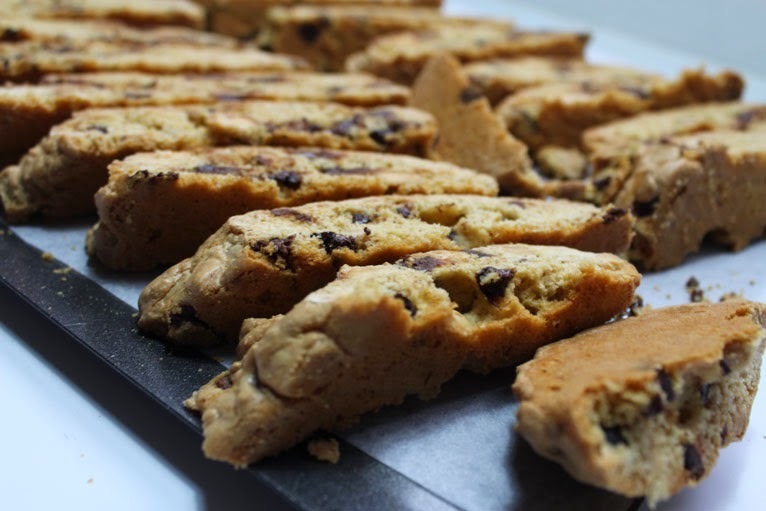 Once cooled using a serrated knife cut the logs on an angle into equal slices to create the iconic biscotti shape. Now to bake for the second time, turn the slices on their sides and bake on each side for 7-10 minutes. 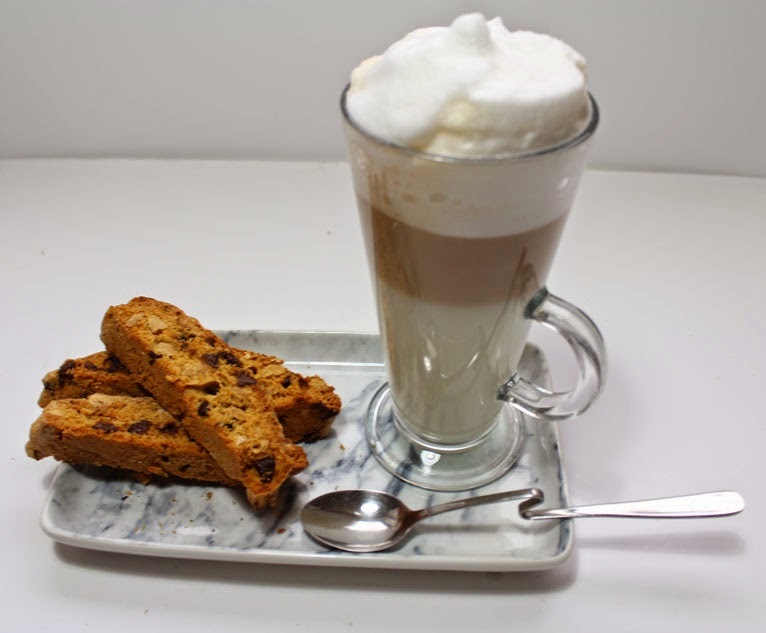 Served with a coffee, these biscotti's are perfect for dunking!